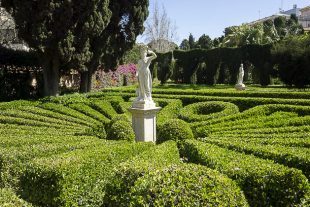 Valencia’s botanic garden has a history dating back to the 16th century. Home to thousands of species of plants, and nearly as many cats, the garden is one of the city’s most relaxing corners. 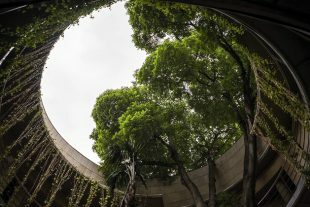 Located literally across the street from the beloved, city-defining Turia Park, the Viveros Gardens have a tough act to follow. But this large park acquits itself well, with a history, beauty, and atmosphere all its own. Found close to the much larger Viveros Gardens, the Jardines de Monforte were commissioned in the mid-19th century for the city mansion of the Marquis de San Juan. 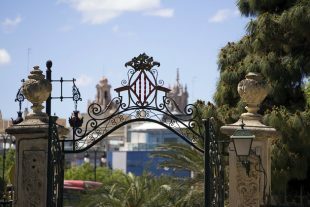 Today, the romantic gardens provide Valencia with its most popular backdrop for wedding photos. 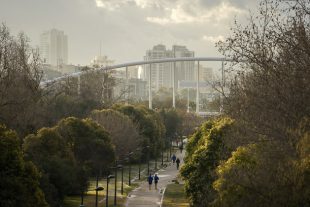 An array of futuristic buildings occupying the eastern end of the Turia Riverbed Park, the City of Arts and Sciences is easily Valencia’s most distinctive feature. 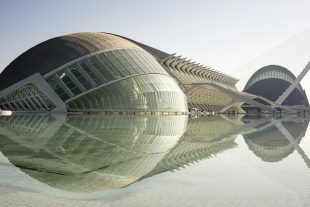 When people think “Valencia,” the sharp white lines, shallow blue pools and tile-covered curves of Santiago Calatrava’s creations are generally what spring to mind. 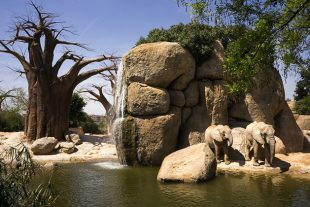 Valencia is home to the best zoo in the world. Alright, that might be too bold a claim, but the BioParc is at least the best zoo Jürgen and I have ever visited. Designed in a way that makes cages (almost) obsolete, the BioParc allows an unobstructed view of the animals, and lets you get close to them… uncomfortably close, sometimes. Let’s just say, it’s a good thing hyenas aren’t strong jumpers. 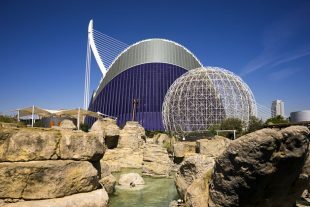 L’Oceanogràfic opened its doors in 2003, and was an immediate hit. The price of entrance isn’t cheap, but you could easily spend all day here. And you’ll need to, if you plan on seeing everything. This is the largest oceanarium in Europe, with sections dedicated to the Red Sea, the Arctic, the Mediterranean, coral reefs, mangrove forests, tropical waters and the oceans. There’s an auditorium, a dolphinarium, a spherical bird sanctuary and multiple restaurants. Grumble about the ticket price all you want, but by the end of the day it’s hard to deny you got your money’s worth. Once upon a time, not actually all that long ago, Valencia’s historic center was bordered to the north by the Turia River. Although it was normally a benevolent presence, the Turia was given to sporadic fits of rage. And after a deadly flood in 1957, Valencia decided to remove the threat once and for all.